We're giving away a bottle of our Diagnostic pH Test Strips to two winners for our March giveaway. 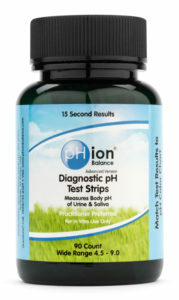 pHion’s Diagnostic pH Test Strips were specifically created to test your body’s acid levels in just seconds. They’re made unconsciously strong, yet formulated to be super sensitive for accurate readings. Unlike litmus paper, there’s no bleeding, there’s no messy results, and they’re dependable. 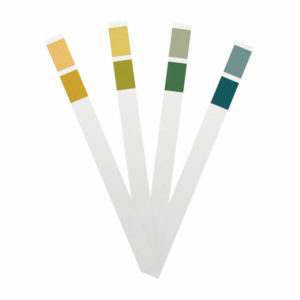 Our Diagnostic pH Test Strips can test either with your saliva or urine. To be entered, just click on the Rafflecopter below and join our mailing list and you'll also be kept up to date on all pHion Balance giveaways, specials and news. There are additional entry options you can use and each option is an additional entry to increase your chances of winning. If you have already signed up for our mailing list, no worries. Just use that option to enter and you’ll still be entered but you must enter via Rafflecopter for all entry options to be entered into the drawing. All entries will be verified so please be sure to follow each entry option you select as described or you will be disqualified. Giveaway is open to US residents and will run thru March 31, 2019. Winners will be notified by email within 48 hours of drawing and a bottle of pH Test Strips will be shipped to the address provided. Winners must reply within 48 hours of notification or prize will be forfeited and a new winner chosen. I love pHion Balance products. Excited to win! I'd love to win: Alkaline Tea Blend and Master Cleanse Lemonade Diet. Ionic Colon Cleanse and Alkalizing Green Superfood. Sign up for our newsletter to receive pH Balancing Guides and Special Offers. Consult your physician if you are pregnant, nursing, taking medication or have a medical condition.